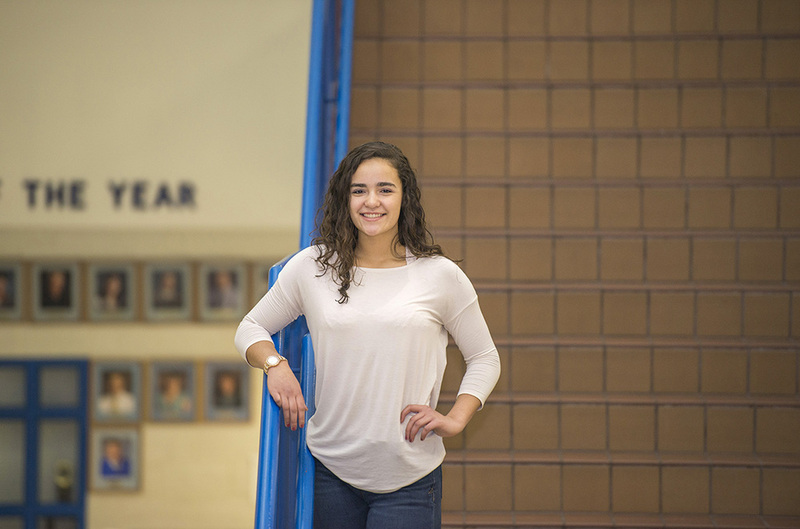 When Harper Creek High School sophomore Hailey Peguero turned 16 and got her driver’s license in January, she did so as a college student who’d already earned four college credits. That’s because Peguero is dual-enrolled at Kellogg Community College, where she’s taking college classes while still in high school. Peguero, of Battle Creek, began dual-enrolling at KCC with a classmate at Harper Creek during the fall semester of her sophomore year, starting with Beginning Algebra. This spring she’s enrolled in two classes at KCC, including a communication class and a psychology class. Peguero sees dual-enrolling as a way to get a jump on her future career working in the medical field, possibly as a nurse or even a doctor. At first the thought of taking college classes as a high schooler made Peguero nervous, but taking her first college course with a friend helped. Now she’s familiar with KCC and says she plans to continue dual-enrolling through the rest of her time at Harper Creek, where she balances classes with athletics as a soccer and volleyball player. Peguero hasn’t decided yet for sure what she plans to do after graduating high school, but she has plenty of time to decide. She’s been looking at options with her mom, and could end up taking additional courses at KCC or transferring credits straight to a four-year school. Whatever path she chooses, she’ll have a good head start thanks to credits earned through dual-enrollment at KCC. If you’re a high school student interested in dual-enrolling at KCC, now is the time to start making plans for the future. Your first step is to talk to your high school counselor and ask them about dual-enrolling at KCC. For more information about dual-enrollment at Kellogg Community College, visit www.kellogg.edu/high-school-dual-enrollment or contact KCC’s Admissions office at 269-965-4153 or adm@kellogg.edu.